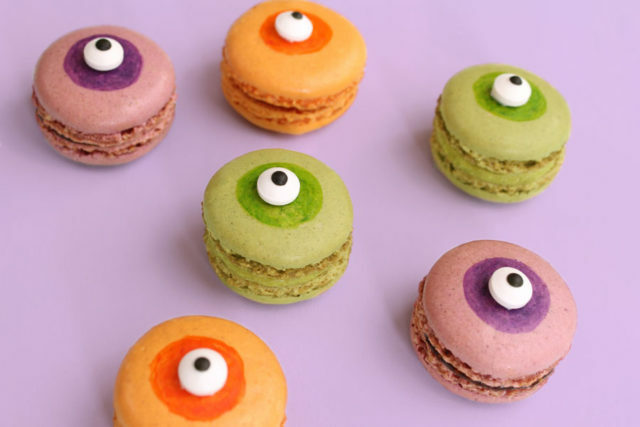 Monster Eye Macarons: A super easy Halloween treat! 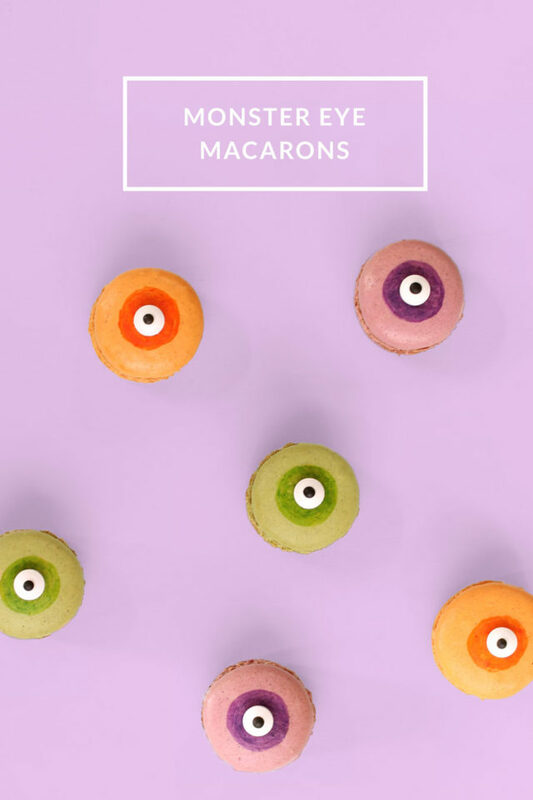 If you are looking for a last minute, super easy Halloween treat, these monster eye macarons are perfect! Draw circles on the macarons with the edible markers. Apply a small dab of icing to the back of a candy eyeball (I used a toothpick) and stick to the middle of the macaron. What a fun way to dress up macaroons the grandkids are going to love doing this. The candy eyes are great! I have seen them around the internet this Halloween season and just can’t get enough of them! Aren’t they the cutest? So easy to make cute treats with them! Such a creative idea.These would make a great addition to a Halloween party.I did not know they made edible markers.I need to look into that. These are absolutely adorable, what a cute idea for Halloween! Thanks Jasmine. I’m glad you like them! This is a super easy and cute way to add some tasty fun to a Halloween party! They really are so easy! These are the cutest and stylish Halloween treats! This is such a fun idea! A little creepy haha but fun! I bet I could find blood red or really dark grey macarons for a creepier effect teehee. That’s a great idea Jolina! Thank you so much for sharing these fun and stylish treats! Thanks Vanessa, I’m so glad you like them! I love this idea! Looks so effective. These are the cutest EVER! Love it! I love this idea Jen! Easy and cute, it would be fun to do an ornament version for Christmas! That is an awesome idea Chloe! That would be so cute!